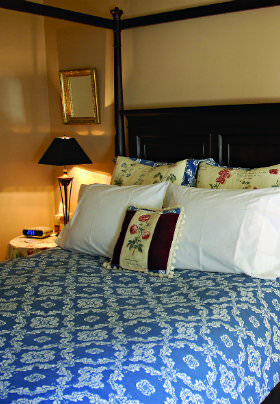 Elegant and private, the Secret Garden Room is the perfect choice of lodging for a romantic getaway to Albuquerque. 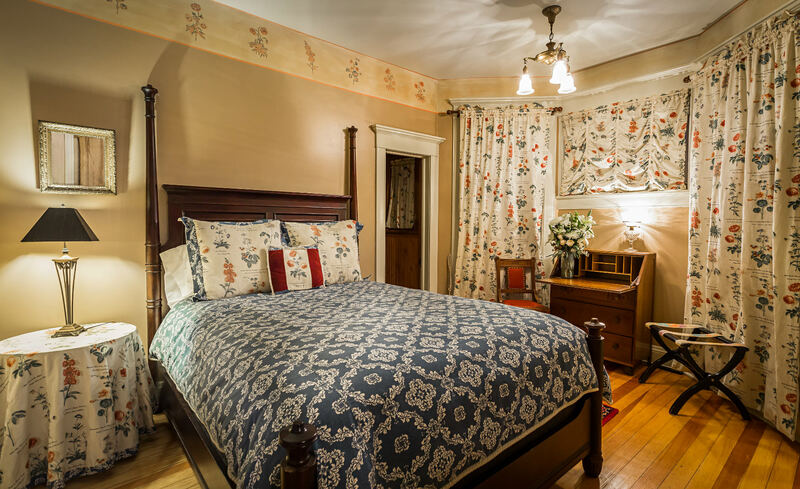 This cozy and intimate queen-size bedroom is on the main floor of the Heritage House. 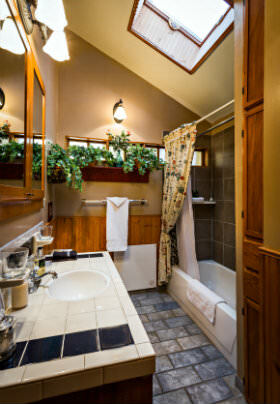 It has a spacious bathroom with a tub/shower and large skylight for lots of natural light. The drapery and other accents are decorated with fabrics that are a reproduction of the 17th century and feature a hand-painted border.